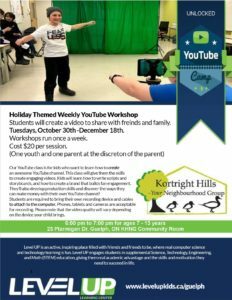 Holiday themed weekly YouTube Workshop Students will create a video to share with friends and family. Tuesdays: Oct 30-December 18, 2018 $20 per session. Parents welcome at their discretion. 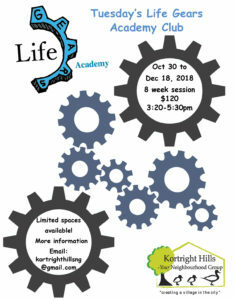 6-7pm for ages 7-13 years.